Most people have so many associated ideas with the word “organization” that they think of one as an identity or a being, not as a dynamic activity. Let’s see what one really is. Let us take a pile of red, white and blue beads. Let’s organize them. Now let us draw the org board. 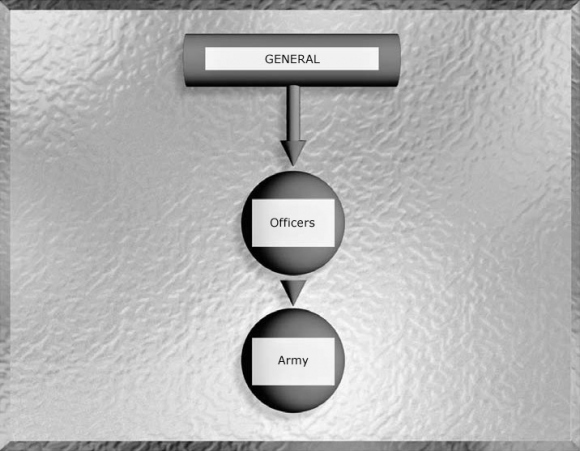 In brief, an org board (short for organizing board) shows the functions, duties, communication routes, sequences of actions and authorities of an organization. 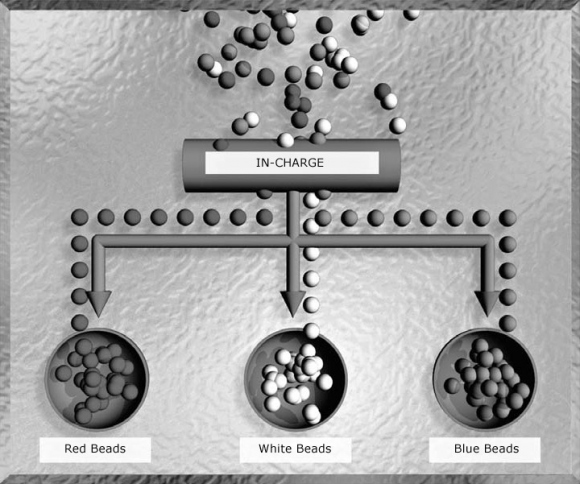 Let us dump the beads all on top of in-charge, all mixed up in a confusion. Thus we find out much of what an in-charge does. He routes. He separates into types or classes of thing or action. This so far is a motionless organization. We have to have products. By product we mean a completed thing that has exchange value within or outside the activity. 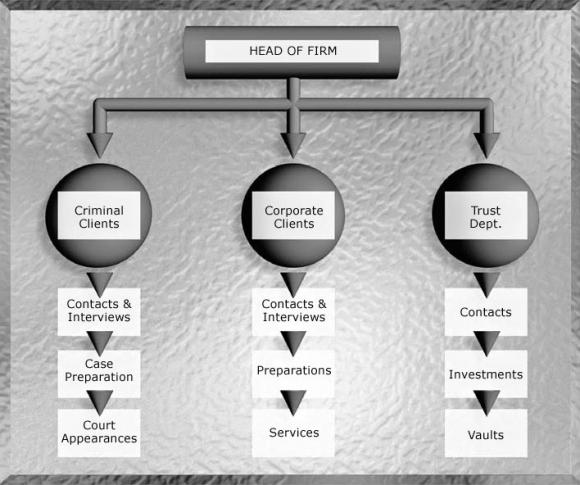 This can be a service or article that has been put into the hands of someone outside the organization or another member of the organization. Let’s say the organization’s products are drilled beads, strung beads, boxed beads. 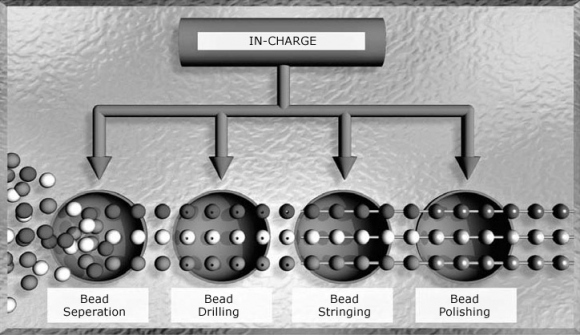 It is not particularly important which pattern of org board we use so long as it handles the volume of beads. If we only have one person in this “organization,” he would still have to have some idea of organization and a sort of org board. If we have any volume to handle we have to add people. If we add them without an org board we will also add confusion. 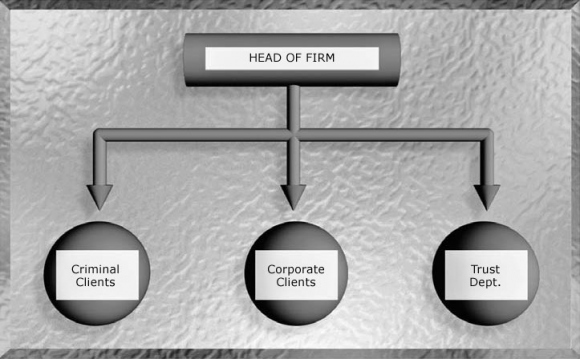 The organization without an org board will break down by overload and cross flows and currents. These in conflict become confusion. All a confusion is, is unpatterned flow of particles (bodies, communications or other items). The particles collide, bounce off each other and stay IN the area. Thus there is no product, as to have a product something must flow OUT. We can now note two things. We have some stable items. These are locations or posts (jobs, positions in a group or organization). And we have flow items. These are things undergoing change. 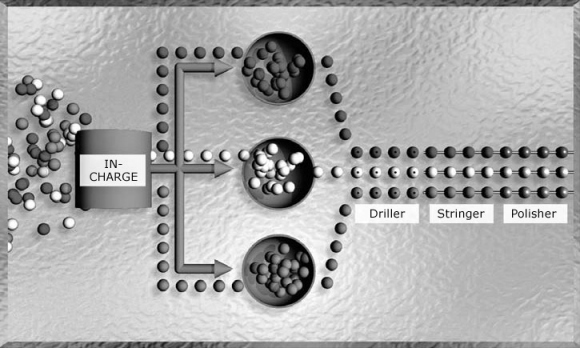 So an organization’s positions change flowing particles. Things enter an organization, get changed, flow out of an organization. 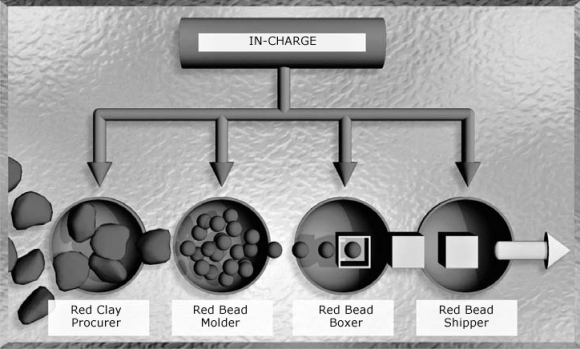 An organization with one type of item only (red beads) is less complex than one with several types of items. Any activity has a sequence of actions. It has to have stable points which do not flow in order to handle things which do flow. All this is true of an engine room or a lawyer’s office or any organization. In an engine room fuel flows in and is changed to motion which flows out. Somebody runs the machines. Somebody repairs the machines. It may all be done by one person but as soon as volume goes up one has to plan out the actions, classify them and put them on an org board which the people there know and abide by, or the place will not operate well. This is done by dividing operation and repair into two actions, making two activities on the same org board. The Chief keeps the flows going and the terminals performing their actions. In a lawyer’s office we get different actions as a flow. The above would be a flow pattern, possibly with a different person (with a different skill) on each point. Or we could have a sort of motionless org board. But if we did that we would have to put the motion in vertically so that flow would occur. Organizing boards which only give terminals usually will not flow. When they got into a lot more men they had to have a flow board. 1. Surveying the types of particles. 2. Working out the changes desired for each to make a product. 3. Posting the terminals who will do the changing along the sequence of changes. The board also must include a recognition of the types in (1) which routes the types to the terminals who change them and to a further routing out as products. To be practical an org board must also provide for acquiring the materials, disposing of the product and being paid for the cycle of action (the steps done from start to finish that resulted in the product) and its supervision. A company has various actions. It is essentially a collection of small org boards combined to operate together as a large org board. 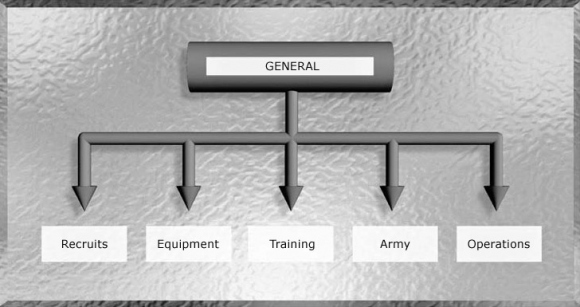 The basic principles you have to know to organize anything are contained in this section of the course. 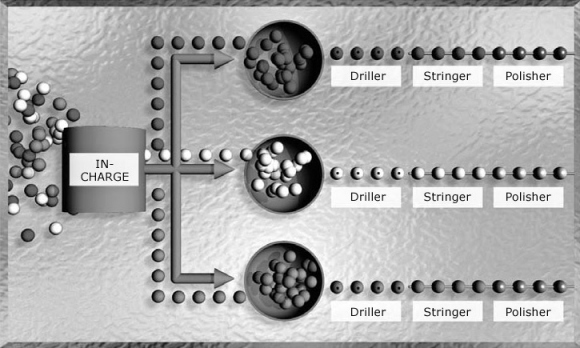 To plan out any action one has to be able to visualize its sequence of flows and the changes that occur at each point. One has to be able to see where a particle (paper, body, money) comes in and where it leaves. One has to be able to spot any point it will halt and mend that part of the flow or handle it. A proper org board is a perpetual combination of flows which do not collide with one another and which do enter and do experience the desired change and which do leave as a product. short for organizing board, a board which displays the functions, duties, communication routes, sequences of action and authorities of an organization. It shows the pattern of organizing to obtain a product.